Sometim es a long term relationship just does not work out. It’s the same way with fee-based genealogy databases. There may be times where a short term subscription is in your best interest. These are some sites that offer month to month subscriptions and have specific databases that may be of use to some genealogists. Whether they are or not really depends the time period and locations where you have research interests. 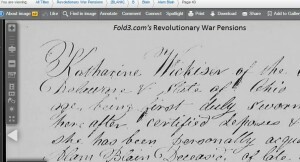 Fold3.com–Revolutionary War Pensions—fully indexed including pensioners, widows who applied, individuals giving depositions, individuals named in depositions, etc. A month’s subscription to Fold3.com may be cheaper than ordering several copies of pension files. 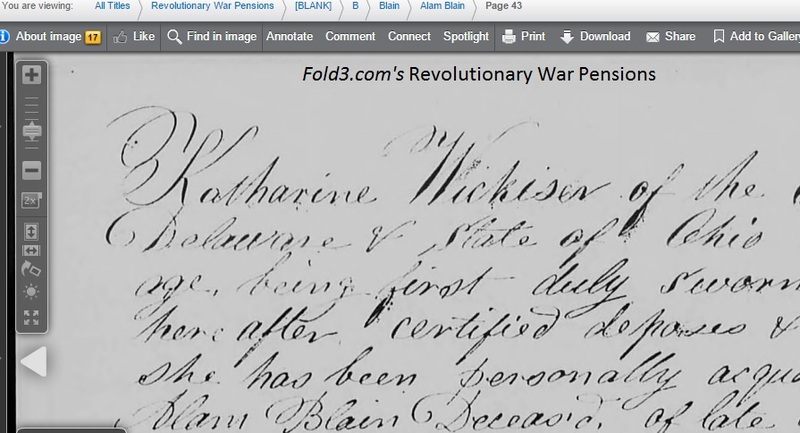 This is a great resource for Revolutionary War ancestors. 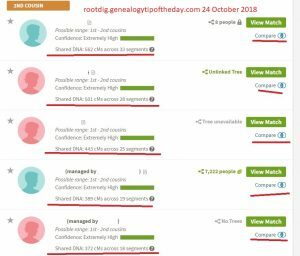 Ancestry.com–Evangelical Lutheran Church of America records-digital copies of congregational records of select congregations in the United States. You can browse the list at Ancestry.com or view a PDF file on the ELCA website (all may not be on Ancestry.com) . The PDF file is easier to use, but make certain and check the drop down list at Ancestry.com to make certain the congregations of interest are included. If there are several congregations of interest, it may be cheaper to subscribe to Ancestry.com for a month instead of ordering microfilm. Ancestry.com‘s huge “probate database” is another great reason to join for only a month. Fold3.com-Nebraska Homestead Records–only indexed by name of patentee (person getting the property). If you have several family members who received homesteads in Nebraska, a monthlong subscription may be cheaper than purchasing copies directly from the National Archives–and knowledge of the precise location of the property is not necessary since there is a statewide index on Fold3.com. Newspaper Archive at GenealogyBank.com–their newspaper collection is hit and miss, but if they have a location you need a monthlong subscription may be enough to get the information out of it that you need. Newspapers.com–their collection focuses on 20th century era newspapers (for the most part). Again, browse the site first to determine if they have the location time period of interest to you. It may be worth a short term subscription. Know which credit card you used to activate the membership. Know when your first month is over. Mark your calendar for 3-4 days before that first month is up. That’s when you should decide if you are going to let the membership “auto-renew” or not. That’s also when you should call and cancel. Be aware of the hours of operation for the call center for the site so that you can call when they are open. Know how to save images and download them to your own digital media. Images linked to “trees” may not be viewable if your paid membership is no longer active. Good discussion George. I’d add the suggestion to look for a one month trial subscription to the Canada site for Ancestry.ca was more than enough time for me to research records for a Nova Scotia Planter family in my lines and cost considerably less than an Ancestry.com world subscription. I suspect also that it contained more records pertinent to my particular search than the world subscription would have. I know there is an Ancestry.uk too. Thanks Sandy. I’ll have to work up a separate post on Canadian and non-US sites. I sometimes think people don’t realize that in some cases a month-long subscription may serve their needs. Hi Michael, (don’t know why I used George) anyway I’m really enjoying the blog and your useful dialogue. It’s no problem. I’ve been called worse ! Hopefully we’ll be posting some more Chicago items as time moves on. I try and keep the content varied, but what I post on really depends on what I’m working on at that point.